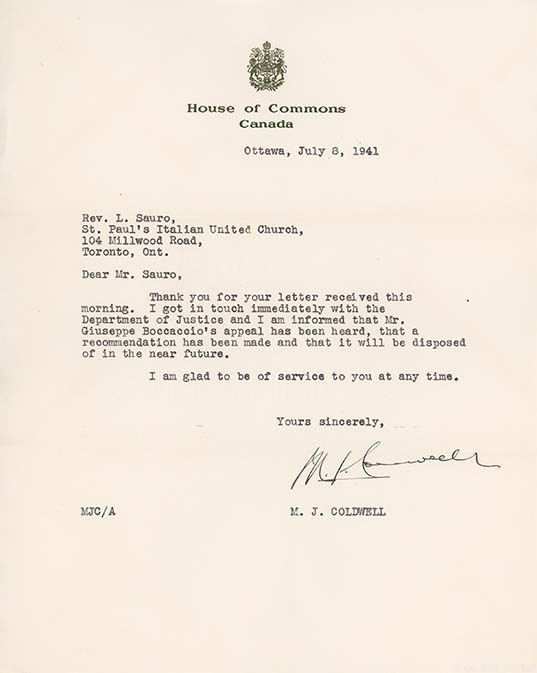 Letter from M.J. Coldwell M.P., to Rev. L. Sauro, July 8, 1941. After his release, Sauro continued to help other internees and their families. This letter is a response to one Sauro had sent on behalf on internee Giuseppe Boccaccio (see ICEA2010-0008-0049, ICEA2010-0008-0051and ICEA2010-0008-0052).